From the start of his medical career Professor Husain has had a keen interest in addressing the huge treatment gap in low and middle income countries (LAMIC). 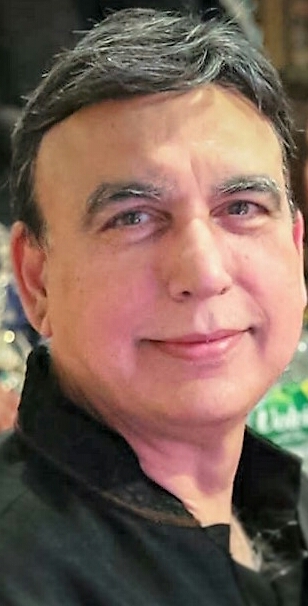 After initial training in psychiatry, Professor Husain completed his Diploma in Public Health (DPH) from Pakistan and Masters in Public Health (MPH) from Emory University USA. Once he had completed public health education he had the opportunity to complete Diploma in Psychiatry for Developing countries from the University of Manchester and was awarded the “WHO Prize for the best diplomat”. Prof. Husain obtained his Membership of College of Physicians and Surgeons Pakistan in Psychiatry and Doctorate in Medicine from the University of Manchester. His research area is Global Mental Health and Cultural Psychiatry and the work fits well with the University and NHS strategy which emphasises translational research and international partnerships. His work in Pakistan, Canada, Brazil and Kenya not only has an impact in those countries but his understanding of working across cultures is proving very useful for the delivery of culturally sensitive care to the diverse population in the UK. His work has been reported in newspapers, radio & TV including BBC Asian Network & BBC Radio-4. In this role along with UK and local charities in LAMIC he contributes to capacity building and producing local evidence to improve mental health care. He is also the Lead for Lancashire Care NHS Foundation Trust’s Culture & International Mental Health Research Group. His work assists the Trust towards the service development and integration of mental health services among Black and Minority Ethnic (BME) Communities and BME service users in Lancashire. Prof Husain has been providing training in Assessment and Cultural Evaluation (ACE) locally and nationally. He organizes the conference “Culture & International mental health” in Manchester which is jointly sponsored by University of Toronto and University of Manchester. The 7th conference in Manchester is in 2016. Dr Husain is leading the memorandum of understanding (MOU) between the University of Manchester and Dow University of Health Sciences (DUHS) in order to promote joint research, teaching and training. DUHS is one of the largest health sciences Universities in Asia with five medical schools. General Medical Council, London UK. Pakistan Council of Legal Education & Research. Demographic and Psychosocial Characteristics of Self-harm: The Pakistan Perspective.